Digimon! Create your own Digimon character and choose a digimon and start your adventure! when it comes down to it. He tries to be careful in his actions because of things that happened in his past but he never seems to manage to control himself. This tends to be a hindrance on him and his friends but sometimes things work out anyways. Fears: The dark, Losing people. History: Riamu was born in England but moved to Tokyo when he was 6. He found it hard to adjust to a new place and shunned everyone trying to get close to him. After years of having no friends he learned how to look after himself. He was subjected to bullying for most of his time in school and found his comfort in music and books. Before the digital world called him Riamu spent most of his time watching anime and playing guitar with his one true friend. His sister died when he was young and he still blames himself for not protecting her. He is in his last year of school, he fails to see the point of learning things he's already been taught over and over again. He just sits around on his own thinking about ways he can get away from the tyrannical hellhole to somewhere more free where he can actually make a difference. Digivice Appearance: purple details and a white base colour. Physical Appearance: Riamu has very pale skin and Striking blue eyes. His straight black hair falls over his left eye. He is of average weight and is about 6ft tall. He wears a plain black shirt and black jeans. He wears goggles and black and white checkered gloves. For shoes he wears bright purple converse high-tops. Ok, first, try to lengthen your history with another paragraph. It's to short. Second, everyone has the same digivices, the ones from season two. Jack Kubin wrote: Ok, first, try to lengthen your history with another paragraph. It's to short. Ok, it is currently at 76 words. Well, I'm going to approve this since it seems you've met all the standards that Jack gave you, but he'll have the authority to change this if he feels more needs to be added to it, which then it'll just be a WIP and such. Again, this approved, but Jack can be the deciding vote. 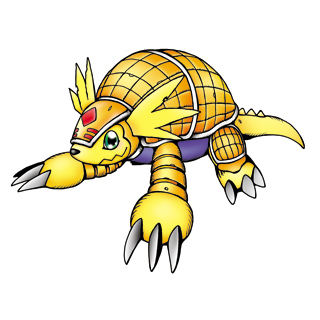 This will be your digimon though! Enjoy!